Once you become aware of a thought that is limiting you in one way or another, you then have the power to change it. The thoughts and beliefs we have about ourselves and the world around us create our reality. That reality is the matrix in which we make choices that affect our life and our level of joy every day. Through her compelling personal stories, humor, and the vulnerable nature in which she shares pieces of her own life, Christine Sopa guides you on a journey of selfdiscovery where you will learn to use the power of your thoughts to achieve joy in an ever-changing world. Many of us have come to a point in our lives where we know we can look back but never go back. At this point, it is imperative to be able to see the bigger picture of your life, to understand that you deserve and have the power to create the world around you as you want it to be and that guidance is available to all of us every step of the way. All we have to do is learn how to listen. On this journey of self-exploration, you will learn to understand what barriers keep you from overcoming your deepest fears, how to use your emotions as a guide in making choices, and finally understand why you make the choices you do in your life. Choosing the Life You Were Born to Live gives away the secret to believing in yourself, how to make choices that will honor your highest path in life and why life shows up the way it does. 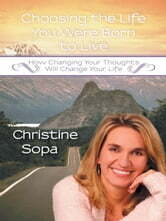 If you are ready to transform your life once and for all, then this is the journey for you! Goodbye to Shy : 85 Shybusters That Work! : 85 Shybusters That Work! Improve Your Memory : Discover The Never-Forgetting-Anything Tips & Tricks!